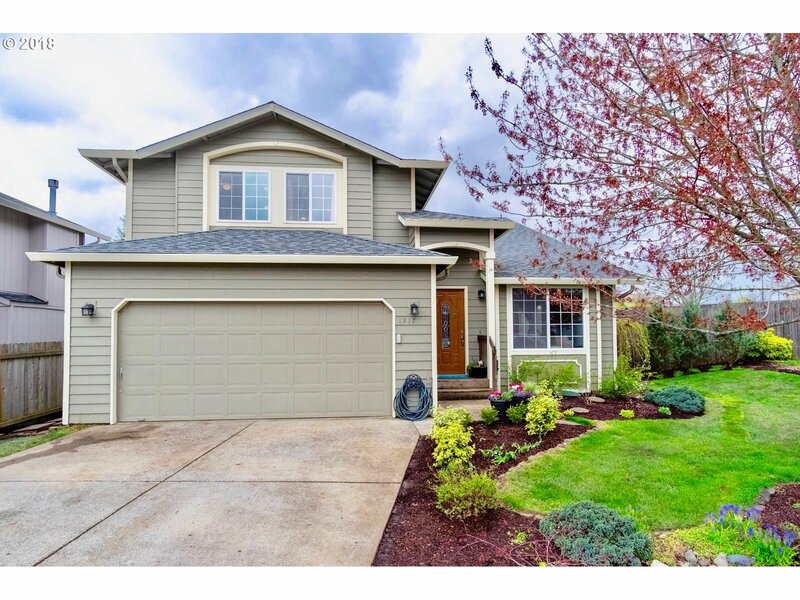 Move-in ready well-maintained Skyview home on Prune Hill. Main floor has great flow with an open floorplan: formal living and dining rooms, kitchen with pantry and breakfast bar, and spacious family room with gas fireplace. Large master suite with vaulted ceiling, WI closet, soak tub. BIG fenced yard with landscaping. View of Mt Hood from front bedrooms. Plus AC, new fridge, new roof 2014.